In the past, I’ve traditionally added 10 movies to The List on Christmas, but this year, Christmas falls on an Oscar day, and Oscar posts always take precedence. Because of that, this year, we get to open our presents early, and I’m going to suggest 10 movies that I think deserve to be on the 1001 Movies list that have for some reason been ignored. This isn’t an ordered list. Instead, it’s more or less in the order I thought of them. I’ll be posting a review of Train to Busan in a couple of days, and if I’m completely honest, there’s a chance that this could show up in the next edition. It’s unlikely, but it is possible. Train to Busan is not an original movie in any way. It’s a zombie movie, and there are tons of those. It is, however, one of the most aggressive and relentless zombie movies I have ever seen. If you are even remotely interested in the horror genre or the zombie subgenre, you’ve probably already seen this. If you haven’t, hunt it down immediately. Get Out is another movie that might show up in the next edition, and I genuinely hope it does. While it isn’t the completely original horror movie that it has been touted as being, it is a wonderful, deeply intelligent reimagining of a few horror classics done as well as it could be. 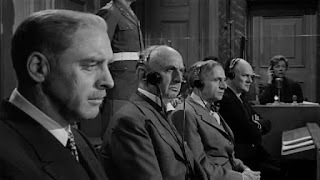 It’s the sort of movie that is wildly entertaining when it is being watched, and also worth discussing afterward because of the issues it brings up and clearly wants to discuss. This is one to watch not just if you’re a horror fan—this is one that everyone should watch. One of the problems with remakes is that people tend to forget the original versions of a film. You’ve Got Mail is a pretty standard-fare rom-com from the late ‘90s and an ad for American On-Line. 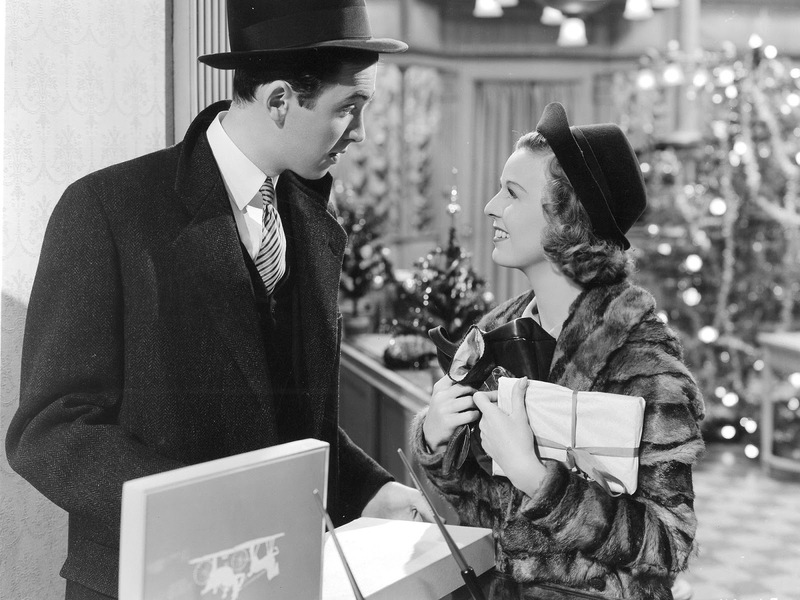 The original version is The Shop Around the Corner, and it’s completely charming in no small part because of the starring roles of Margaret Sullavan and James Stewart. 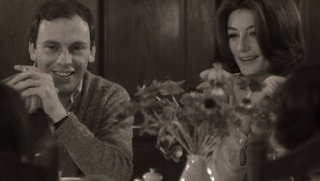 Romantic comedies are often short on both real romance and real comedy, but this one has both. Another romance that really worked for me was A Man and a Woman. This had all the earmarks of becoming something tawdry if it went too far one way, blatantly tragic if it moved too far another, and mawkish moved too far in a third direction. It does none of this and manages to be beautiful and real and wonderful. The romance genre isn’t one I love not because of the content but because of the general quality of the films in the genre. If more of them were like this, I’d like the genre more. I admit to being a sucker for science fiction, and when it’s science fiction written by Carl Sagan, my interest is going to be piqued. The strength of Contact is that Sagan absolutely stays true to the ideas of science here. 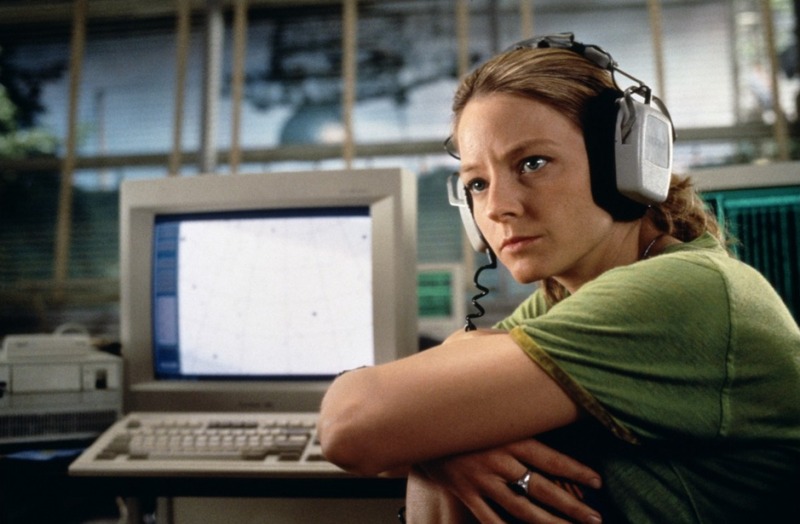 We’re given a complete experience of alien contact and we are simultaneously put in the position of having no clear way to verify it. There are two directions that the story can go from here, and Sagan’s tale takes the harder and braver path, and is all the better because of it. Sometimes, one needs to remember that The List is not the 1001 greatest movies ever made, but the 1001 that need to be seen for one reason or another. Based on that, it makes sense to me that there should be something legendarily terrible included. 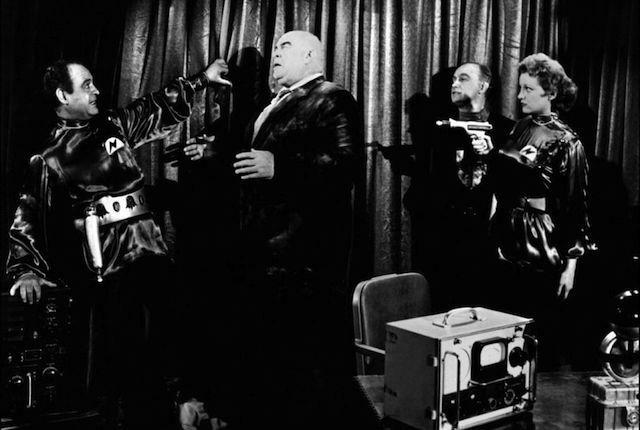 Plan 9 from Outer Space is that legendarily terrible movie. That it’s awful cannot be denied, but that it was also made with real love cannot be denied, either. The List hasn’t shied away from those movies that have an intense cult following in the past, and this is one that deserves to be enshrined. The List often takes real pride in including films that began a particular genre or subgenre of movies, but has so far managed to avoid including one of the greats of the giant monster movies. 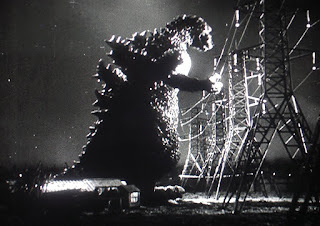 Godzilla, in one form or another, has been a part of world consciousness since the original 1954 film, and to leave it out seems to be more a comment on the genre than it does on the film. Sure, it’s not a great movie, but it is one that started an entire collection of radioactive giant monster movies, and leaving it off seems almost prejudicial. I’ve spent a little time waxing rhapsodic about the joys of films that may be important but aren’t great, so I’m going to switch gears here for a film that is truly great. 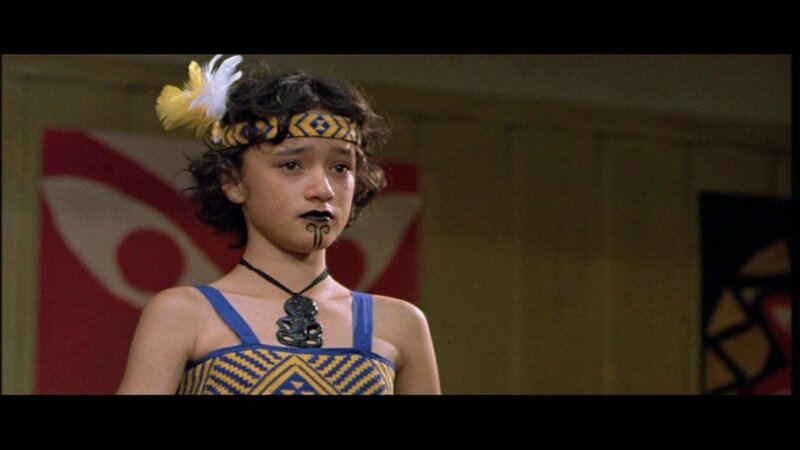 Whale Rider is a beautiful film and a wonderful story. It’s also a story that seems more fitting now than it was 15 years ago. This is very much the story of a young girl’s empowerment, of fulfilling a destiny that others think she has no right to have. This is Moana before anyone thought about Disney making this story, and it is truly special. 1939 is widely and correctly considered one of the greatest years in film history. There are movies from this year that are routinely forgotten that would be hailed as all-time classics had they been released one year earlier or one year later. 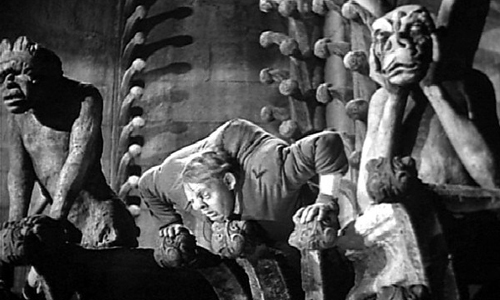 The Hunchback of Notre Dame is one of those movies. Charles Laughton isn’t regularly remembered for his role as Quasimodo, yet he should be, because in many ways, he’s the best to take on the role. Leaving this out seems to be more about the year having too many films already than it does the film itself. Plan Nine from Outer Space! Yes! But if you're going to go THERE, go ALL IN! Manos, the Hands of Fate! Manos is a step too far, and I'd much rather have Plan 9 than something like The Room. And I most heartily agree about Hunchback. I think I have Wizard of Oz on my IMDB list for favorite movies, year by year, but it should be a tie between Hunchback and Wizard. And probably a three-way tie with Stagecoach added! It's a hell of a good movie in a hell of a good year. I don't see a good reason for excluding it. The only problem with Contact is that the book is heaps and leaps better. But that is a common enough problem. I am with you on Plan 9. If you removed anything on the List by Jack Smith that should create ample room. Right--I've only encountered a couple of times where the film is better than the book (Jaws is the best example I know). And yeah, there's a lot of dross on the list that Plan 9 could replace. Of the ones I've seen I agree completely. 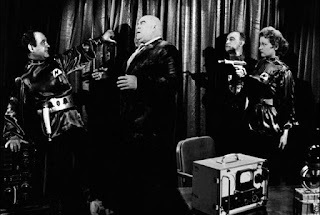 If Plan 9 were added it still would not be the worst movie on The List. Not by far--nothing will take that spot as long as Vinyl is there. I'm floored that Plan 9 and Gojira aren't on the list -- both seem like huge oversights. Though of the ten you have listed here, I'd bet real money that Get Out makes the cut in the next update. Gojira seems like the biggest miss on this list, honestly. Then again, The List still doesn't have a single exemplar of Ray Harryhausen's work, so I'm not terribly surprised. I genuinely hope Get Out makes it. 2017 was a great year for horror, so I'm expecting some horror at the very least, and Get Out seems the most likely. Agree Get Out deserves a spot in the book, although you know where I stand in regards to the interracial issue, which we discussed in your review. The Shop Around the Corner has its cute moments, and the performances are good, but I find the number of staff is implausible considering the size of the shop. To me, also unrealistic that they would talk so freely in the customer area. I agree that it has charm and real romance though, and I can happily rewatch it despite these issues I have. The Shop Around the Corner suffers from the problem that many movies of the era suffer from--and that movies in general suffer from: it bends normal reality in ways for the story that don't actually make real-world sense. I agree that the shop has too much staff, but as someone who has worked retail, those conversations can and do happen, especially if the manager isn't on the floor. Still, I'll overlook some verisimilitude issues for a genuine romance that really works. Hard to believe The Shop Around the Corner is missing. Same for AMan and A Woman, hugely successful in the States despite being a non-English film. I went into A Man and a Woman expecting nothing and came out the other side wondering why more people don't know about it.